Overall in Europe, regulation is increasingly moving toward recovery and re-use which has boosted interest in phosphorus recovery, with obligations being enacted to recover phosphorus from municipal sewage sludge in Germany, Switzerland and Austria. In October 2017, the German sludge ordinance came into effect requiring that all wastewater treatment plants with more than 50,000 population equivalent (PE) recover at least 50 percent of phosphorus entering the plant, and that sludge phosphorus content is deleted to below 20 g/kg of dry matter by 2032 (2029 for nutrient recovery plants over 100,000 PE). This heightened interest in phosphorus recovery was seen by an increased level of activity and interest at IFAT, the world’s leading trade fair for water, sewage, waste and raw materials management that took place at Munich’s exhibition center this past May. The show was expanded by two additional halls to house leading technologies such as those offered by Canada’s Ostara Nutrient Recovery Technologies, which recovers phosphorus from wastewater streams and transforms it into a high value, non-leaching fertiliser. In Germany, technology providers, utilities and regulators are all seeking to understand how the requirements of the new sludge ordinance can be met, in preparation for the submission of plans outlining their phosphorus recovery concepts by 2023. As such, many demonstration projects are already in development, and Ostara as well as other nutrient recovery companies are exploring how their solution can play a role in this emerging market in Germany. Ostara has an advantage in that its technology has already demonstrated that it can capture a higher proportion of the plant phosphorus load than any other struvite technology. 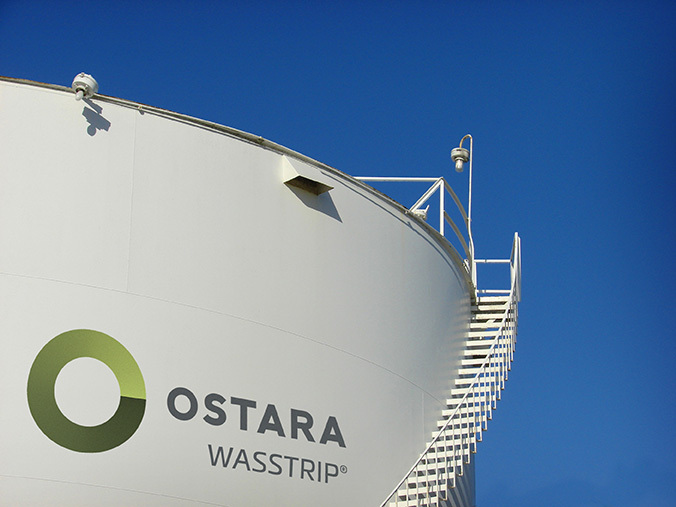 Although Ostara has been a pioneer in the North American nutrient recovery market since it was founded in 2005, it wasn’t until 2010 that Ostara made its first foray into the European market, undertaking a series of pilots notably in the UK, Netherlands and Spain. Today, Ostara operates an Energy and Nutrient Recovery Factory with the Dutch Waterboard Vallei en Veluwe, and this June, announced a partnership with the Krevox European Environmental Centre to build a nutrient recovery facility in Jarocin, Poland, which will be the first of its kind in the Baltic region. As a major contributor to nutrient pollution in the Baltic Sea, Poland has committed to reducing phosphorus emissions securing significant interest in Ostara’s technology. Beyond Europe, Ostara has seen further success with the contract to supply a nutrient recovery system for The Dan Region Wastewater Treatment Plant (Shafdan) in Tel Aviv, Israel. The plant treats wastewater for more than 2 million people in the Tel Aviv area, and construction will commence in early 2019 with full operation expected by 2022. These recently announced regulations are not expected to be the last: on the 13th of July 2018, the Government of Sweden announced its intention to appoint an inquiry to propose a requirement for phosphorus to be recycled from sewage sludge. We will watch closely as these new regulations continue to advance the case for phosphorus recovery.